It goes without saying that Paris is one of my favourite destinations EVER. Each and every trip I have made to the famous French city has been completely different to the last, but always memorable and filled with the kind of small joys that make my heart fit to burst. 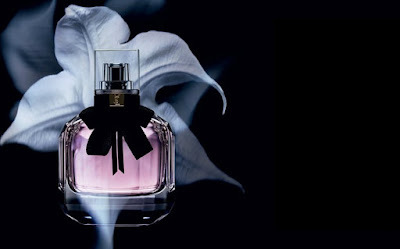 Any beauty collection or scent inspired by the aforementioned happy place always grabs my attention, and the latest fragrance release from the quintessentially Parisienne YSL Beauté did all that and more. Designed to capture the spirit of an intense love affair, YSL Beauté’s beautiful new Mon Paris perfume has been called “a new expression of love today”, and was naturally inspired by the city of lovers; Paris. Despite sharing the famously romantic city’s moniker in its name, Mon Paris isn’t a close relative of Yves Saint Laurent’s 1983 classic rose, Paris, which was updated with Parisienne, a vinyl-accented modern rose, in 2009. It's something entirely new, a "white chypre". Traditionally a chypre is a very classical scent, almost the epitome of retro Parisian chic. Mon Paris takes that notion and turns it on its head, bringing an ultra-modern take on the chypre thanks to the inclusion of the exotic white datura flower and two different types of patchouli. The datura flower is the soul of the fragrance, bringing a deep sensuality to proceedings and keeping things chic. Of the florals in the heart (peony, datura, jasmine, orange blossom) the peony is the main player, so the overall feel is pink and modern and sweet, but blissfully clean. Finally, this modern and daring floral scent is balanced by creamy white musks and the aforementioned patchouli, for a truly seductive little offering. Last but by no means least, please feast your eyes on that truly gorgeous bottle, pictured above. This is where the fragrance honours the legacy of the original Paris bottle, but with a edginess all of its own. Beautiful! I predict that this scent will be a major hit over the Christmas season and a modern classic beyond. It’s just landed on counter too, starting with an RRP of $115 for a 30ml, $165 for 50ml and $240 for 90ml. Get yours now.